At Delray Beach Oriental Rug Cleaning Pros, our rug cleaning process is like sending your rug to a spa in Coral Springs, FL. Whether we're cleaning a delicate, antique area or a contemporary area rug, our exclusive process safely and gently revives the color, luster and beauty of your rug. What separates our team from other rug cleaners is our specialized equipment that safely and gently flushes away the vast amounts of soil trapped deep in rugs without abrasive scrubbing, harsh chemicals or power spraying that can damage fine rugs permanently. 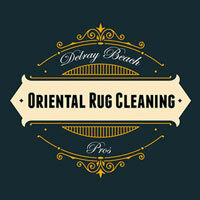 We clean area rugs here at Delray Beach Oriental Rug Cleaning Pros with exceptional results. We use a very thorough, yet gentle cleaning method to take care of your beautiful rugs. We will handle with care every type of rug weather hand knotted, hand tufted, or machine made. Your rug maybe made out of any number or blend of fibers like wool, silk, cotton, nylon, and olefin. Your rug may be a Persian, Turkish, Indian, Chinese, or Tibetan Rug, our experts can handle and care for any of your rugs. 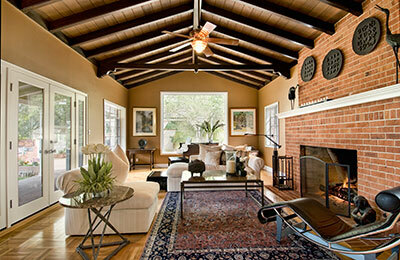 We are the go to area rug cleaning company in Coral Springs, FL because we understand rugs. Our extensive history with dealing with these rugs for generations has enabled us and taught us what to expect from every different type of rug. 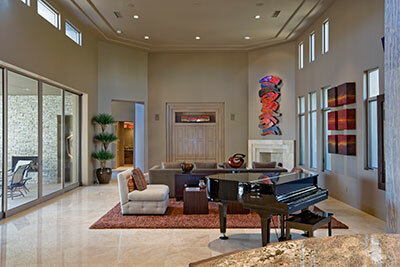 Only with a company with our knowledge should you trust your area rugs with for cleaning. We are not a steam cleaner, nor a simple shampooer, we are a true area rug washing facility. Bring your rug in for cleaning and we know you will be pleased with the outcome. And if you can't drop it off yourself, that's ok, because we offer free pick up and delivery service as well. For area rug cleaning in Coral Springs, FL, Delray Beach Oriental Rug Cleaning Pros offers highly qualified work with the convenience of complimentary pick up and delivery. From natural fiber rugs to synthetic, from heavily soiled area rug cleaning to the low-touch, gentle techniques we use for fine area rug cleaning, we guarantee our work 100%—if you're not completely satisfied, you don't pay. It's that simple. Our rug cleaning technicians can work with rugs of any size and soil conditions, and specialize in the removal of the toughest stains and odors (including pet urine and its accompanying smell!). The first step in our cleaning process is a thorough rug inspection. We inspect the whole rug including the fringe, the main body and the side edges. We are looking for any tears, holes, missing face yarns, damaged fringe, pet contamination, insect damage, and unstable dyes that have already bled onto other parts of the rug. It is at this time that we dye test every color on the rug ourselves to ensure dye stability when cleaning. Any potential problems that are discovered are fully discussed with our clients prior to cleaning. The steps following inspection involve soil removal, washing, rinsing, water extraction and drying, and fringe detailing and final inspection.